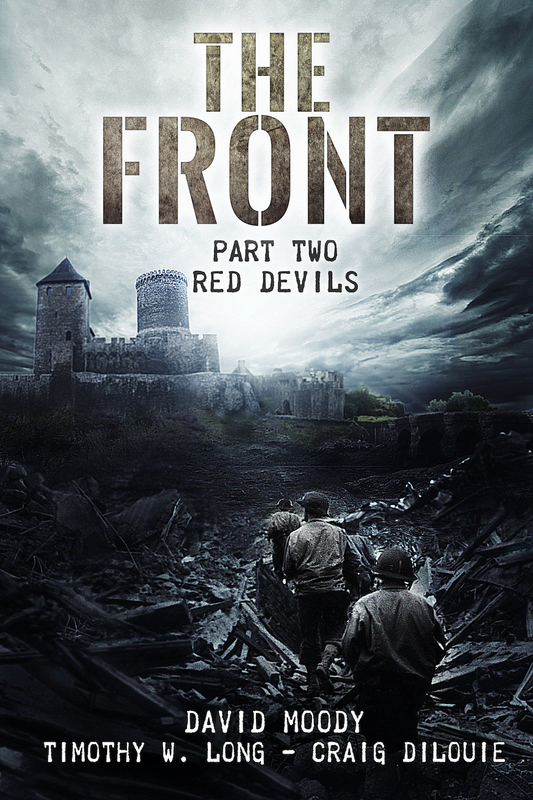 Apparently there was a football match last night which may have distracted some of our UK readers, so today we’re repeating news of our latest release. XINNERS by WAYNE SIMMONS is a pulpy science-fiction horror story he describes as ‘Dawn of the Dead meets Battle Beyond the Stars’. And if that description doesn’t get your pulse racing, you’re either too young to have seen Battle Beyond the Stars or you’re as dead as one of the zombies inhabiting the massive, derelict space ship where the book takes place. More details here. The book’s available from Amazon here. We interview Adam Baker, author of KILLCHAIN (Year of the Zombie #1) about all things zombie and ask him what advice he would give to entrants of our YOZ PITCH & PAGE comp. That’s a pretty deep question. I mean, do any of us really have a continuous, unified self? Is our backstory, the elaborate persona that loads each morning when we wake, simply an encumbering fiction? I am the son of a Gloucestershire priest. I’ve worked as a gravedigger and cinema projectionist. I also spent a summer fixing slot machines in an Atlantic City casino. Tell us a little about Killchain. The inspiration for the novella came from a conversation I had with my doctor. I went for a routine blood test and got side-tracked into a debate as to whether it would be possible for a suicide bomber to hide explosives inside their own torso. I have a pretty cool doctor. 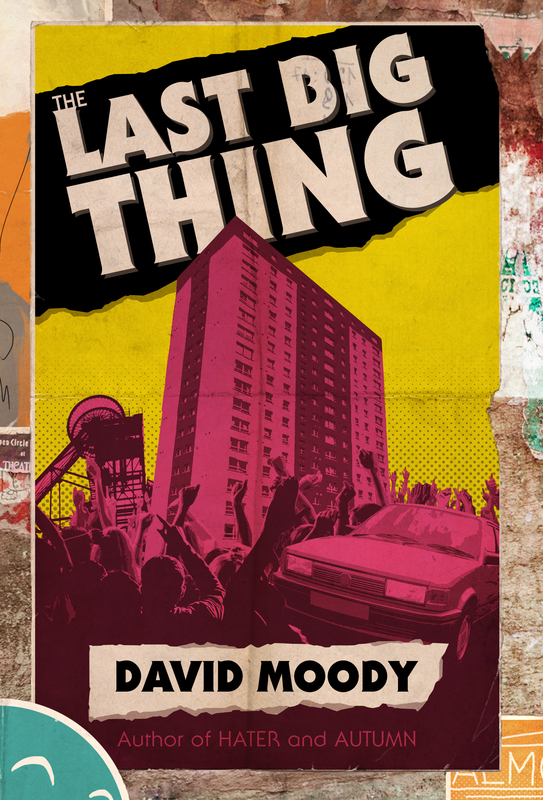 Tempted to pick Matherson’s I am Legend because, despite featuring vampires, scenes in which the protagonist barricades himself in his home as a hoard of monstrous creatures try to force their way inside established a lot of the core tropes of zombie fiction. (If you watch the first – and best – film adaptation Last Man on Earth starring Vincent Price it is very obvious one is watching a precursor to Romero’s Night of the Living Dead.) But instead I’ll pick HP Lovecraft’s Herbert West ‘reanimator’ short stories because they are gloriously icky and pre-date almost all landmark zombie stories with the debatable exception of Frankenstein. My instinct is to say Dawn of the Dead (original) because it’s the big-daddy of zombie flicks and established a lot of the staple genre tropes. But instead I’m going to recommend a movie called Pontypool, because not many people have seen it and it deserves a wider audience. It’s a no-budget Canadian flick in that unfolds in real-time as a DJ called Grant Mazzy begins his early morning radio show and starts to receive reports of folks going crazy and attacking friends and relatives. There’s very little on-screen violence, not much in the way of action, but the film is wonderfully tense nevertheless. We’re running a ‘pitch and page’ comp as part of YOZ, the winner becoming our 12th novella author. What advice would you give to those submitting to such? I suppose Elmore Leonard’s rules for fiction are a good place to start for anyone about to start a story. My most important rule is the one that sums up all ten: if it sounds like writing, I rewrite it. 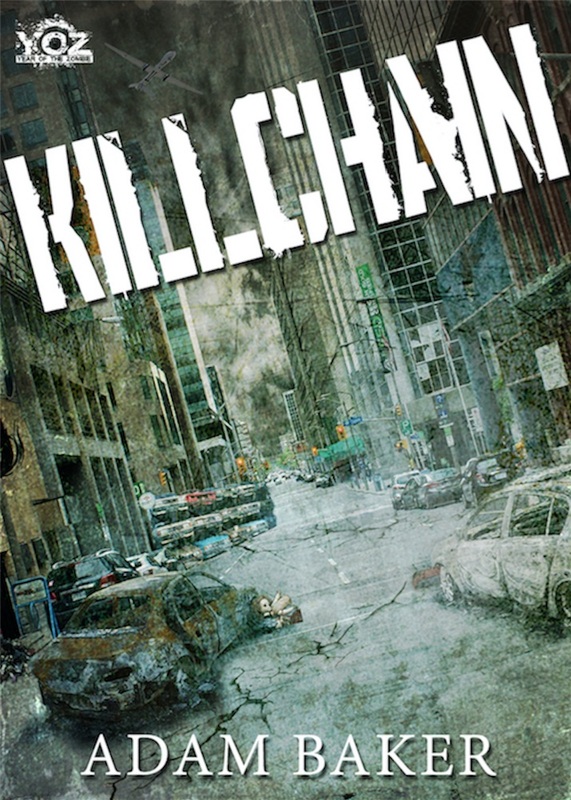 Grab KILLCHAIN right now for only 99p/ 99c. Find out more about Adam Baker right here. Happy new year to all our readers! And no better way, we reckon, to see in the new year than with the first novella in our brand new YEAR OF THE ZOMBIE series! 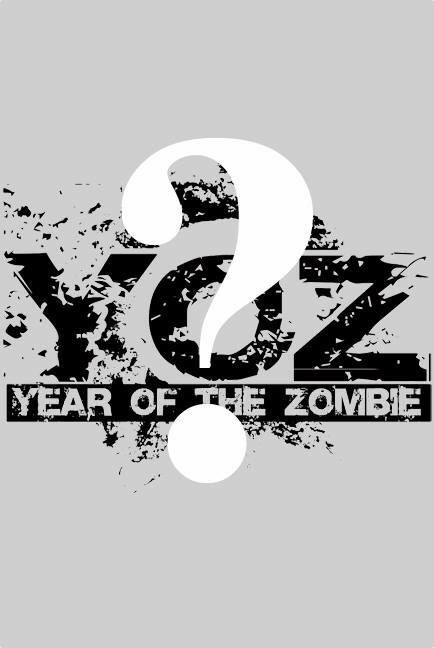 Year of the Zombie promises 12 exclusive novella releases throughout 2016 from some of the best in the business, the first being the awesome KILLCHAIN by Adam Baker (bestselling author of OUTPOST and JUGGERNAUT).